Sohana Saba was born in Dhaka in 1986. Sohana completed here SSc from Dhaka Laboratory shcool. Sohana height is 5 feet 5 inches with 50 kgs weight. Eyes color Brown, Black hair, figure slim and glamous. Sohana has completed her graduation in Fashion Designing from Shanto Marium University, Dhaka. 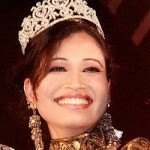 She entered in the Bangladesh Showbiz as a dancer. Sohana Saba always had the dream to be an actress. Sohana Saba is very cute and popular model in Bangladesh. Saba made many commercial advertisement. Sohana Saba started her acting career in the year 2001 as an actress in TV drama. 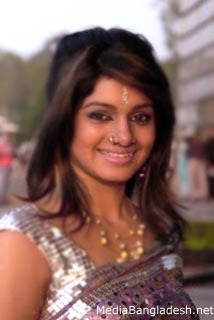 Sohana’s notable TV dramas are Tumi Amar Bondhu Hobey, Begom, Bibaho Bivrat, Badol Diner Gaan, Bikol Ongko O Shomadhan, Restaurant Twenty One, etc. Sohana debuted in Dhaka film industry with Kabari’s film “Ayna” and the actor was Ferdous. Her second film was Murad Parvez’s “Chondro Grohon” with popular actor Riaz. Also Sohana Saba acted in Morshedul Alam’s “Priyotomeshu” and “Khlaghor” and Abu Sayed’s “Rupantor” with Ferdous. Then Sohana Saba married film director Murad Parvez and took a break for three years from the film. Again came back in 2013 to act in a government funded film “Brihonnola”. She is also film director, her husband is Murad Parvez also an actor. Sohana Saba and Murad Parvez both are broad minded and will try to work for the humanity. Sohana Films are Khelaghor – Doll House in 2006, Chandragrohon in 2008, Priyotomeshu- Love and Repulsion in 2009, Brihonnola- The Poisoning Sap in 2014.